Newer: » Reinas, Rock, Rhythm, Romance: Costa Maya Festival celebrates 20 years! 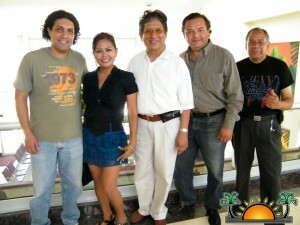 International musical group from Peru, Los Pasteles Verdes touched down on Ambergris Caye at midday on Friday. The group of four is expected to perform at the International Costa Maya Festival on Saturday August 4th for Noche International. The group is well known in Latin America countries and rose to fame from the 70’s to the mid 90’s. The group of four is comprised of Guibovich along with Neo Garnica – Percussions, Martin Corona – Vocals/Keyboard and Lucio Lopez – bass/vocals. 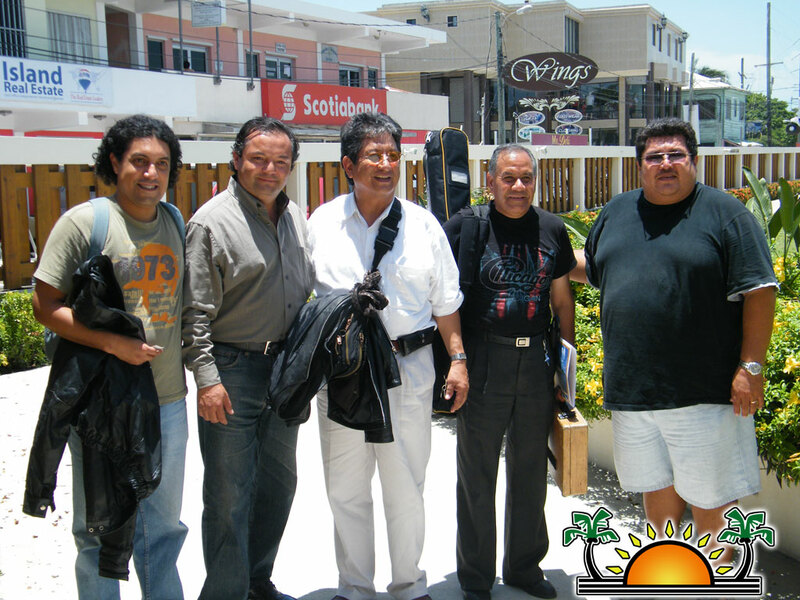 Los Pasteles Verdes was founded in 1973 by brothers Victor Hugo Acuña (guitarist) and Cesar Acuña (keyboardist), former musicians in ‘The Jeekstones and Los Benkers’. They were joined by singer German Laos, drummer Jorge Luis Principe, bassist Miguel Moreno and on the percussions, Juan Vasquez. A second singer, Aldo Guibovich, joined the group a year later. Those who don’t have a weekend pass can pay $75 (adults) at the gate. See you there!